Your roof endures a lot of and is impacted by numerous weather conditions. 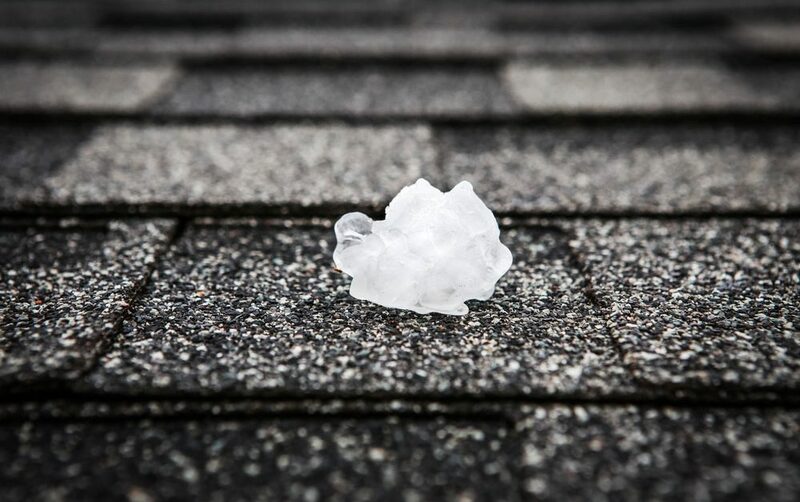 While there are certain types of roofing materials that can withstand more than others, some weather conditions can cause damage to a roof regardless of the type. Here is what you should know about the five major weather conditions and what they can do to your roof. Rain is probably the most common weather element and it will affect your roof regularly throughout the year. After a heavy rainstorm, it is important that you inspect your roof for any signs of leaks. This is particularly true if your roof is older, as this makes it more vulnerable to leaks and water damage. The smallest crack can let water seep through, and it doesn’t take much cause significant damage. Make sure to watch your gutters to ensure they aren’t overflowing due to a clog. Heat probably doesn’t come to your mind when you think of significant weather elements; however, extreme heat has the ability to cause your roofing materials to expand and contract, leading to immediate damage. In addition, shingles can crack under extreme pressure—by the heat—and become brittle as a result of the sun and constant UV exposure. Ventilation is key in this scenario. It isn’t uncommon for you to think about humidity when you think about heat. As mentioned, heat can cause shingles to crack, but humidity tends to result in moisture damage to the roofing, resulting in damage to the structural integrity of the roof. Condensation can lead to leaks and subsequent water damage, which is why it is vital that you opt for a waterproof roofing material if at all possible. Strong winds, which often come with thunderstorms, hurricanes, etc., have the ability to lift up shingles and move panels. Regardless of whether you can locate shingles nearby your home on the ground after a storm, you should have a professional inspect your roof. It doesn’t take much to leave your home exposed to the elements. During strong winds, a nearby tree that touches your roof could result in abrasion, not to mention the potential risk of fallen branches that could puncture the roof. When it comes to damage to the roof, snow tends to be a combination of both rain and wind. Snow adds a significant amount of weight to the roof, which could potentially lead to the roof collapsing. Therefore, as soon as possible, snow should be removed from the roof. It is also a good idea to consider having more durable roofing materials installed on your roof if you live in an area that is prone to significant snowfall. To ensure that your roof is ready to tackle the elements, contact the professionals at Bullard Roofing.